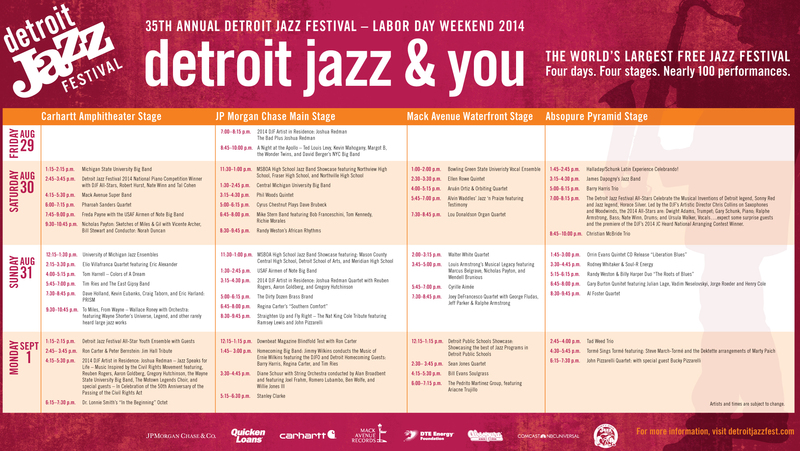 Here’s The Complete Detroit Jazz Festival Weekend Schedule! The complete Detroit Jazz Festival schedule is up! View it here, and do make the event part of your holiday weekend plans.